Veteran pension payments have increased in March in line with the biannual indexation process. Pension recipients including veterans, their partners, war widows and widowers across Australia will see the increase from 20 March 2016. Due to pension rates calculating on a daily basis, the first pension paid after the indexation on payday 31 March 2016 will comprise both the old and new rates. The new pension rates will be fully effective from payment date 14 April 2016. Safety planning is exactly what it sounds like – creating a plan to stay safe during those really difficult moments. The BeyondNow app makes this suicide prevention tool even more valuable by putting your plan in your pocket – you’ll always have it on hand if you need it. It can be hard to think clearly when you’re in a suicidal crisis or having thoughts or feelings about suicide. Having all your warning signs, coping strategies, reasons for living and support listed in one place means you can focus on working through the steps until you feel safe. We hope that you and your loved ones will never need this app. But if you do, we hope it can guide you through the tough times. You can download the app from the App Store or Google Play. 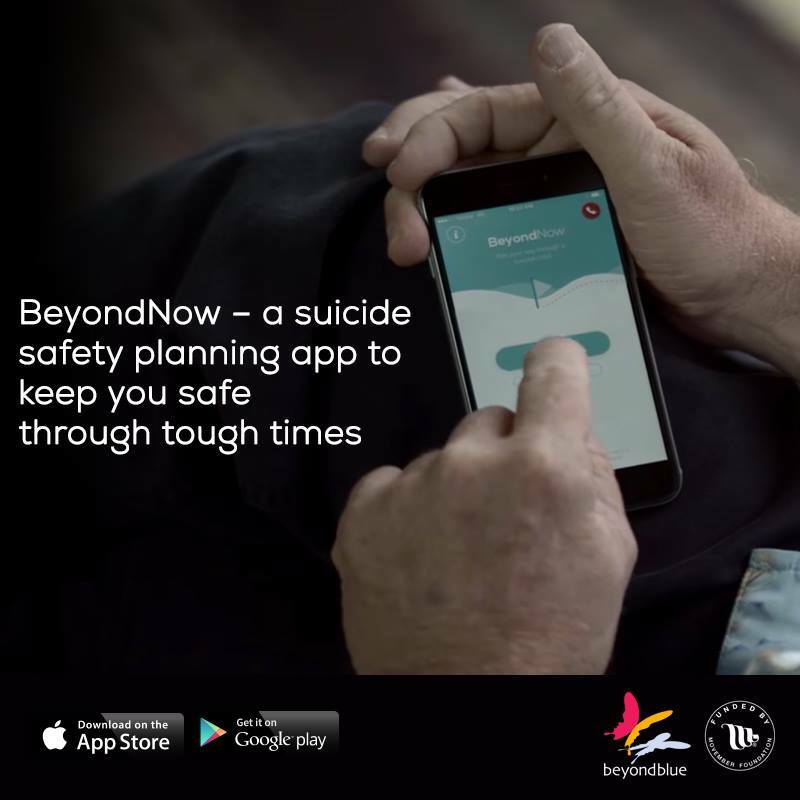 BeyondNow was developed by beyondblue and Monash University, and funded by donations from The Movember Foundation Australia. The Building Excellence in Support and Training (BEST) grants program supports ex-service organisation practitioners and advocates to provide pensions and welfare assistance to the veteran and Defence community. It also links closely to the Training and Information Program, which provides the essential skills for claims, advocacy and welfare work. Applications are now invited for funding under BEST Round 18 for the 2016-17 financial year. Applications will be accepted from 15 March 2016 to 15 April 2016. Further information can be found on the DVA website. Australian Family Physician magazine is issued to all members of the Australian College of General Practitioners. The March edition is principally devoted to the Defence Community and their health care. Members of the veteran community are encouraged to discuss the material with their GP so he/she does bother to read it and they are familiar with it. The Minister for Veterans’ Affairs, Dan Tehan, today paid tribute to a distinguished Australian, Brigadier Bill Rolfe AO (Retd), who has died after a long illness. “I offer my sincere condolences to Brigadier Rolfe’s family and friends as they mourn the loss of a man who served our nation and the community, particularly the ex-service community, with distinction,” Minister Tehan said. “Brigadier Rolfe was a Royal Military College Duntroon graduate who served as a platoon commander with the 2nd Battalion in South Vietnam and was mentioned in dispatches for his service. In 1982, Brigadier Rolfe was the first Australian officer to attend the Graduate Course at The Judge Advocate General’s School, U.S. Army, in Charlottesville, Virginia. He was then appointed Director of Army Legal Services in 1986 and Director General of Defence Force Legal Services in 1989. Brigadier Rolfe retired from the Australian Defence Force in 1992, when he joined the National Security Branch of the Commonwealth Attorney-General’s Legal Practice. In 1997, he was appointed as head of the Veterans’ Review Board, an independent statutory tribunal responsible for review of Repatriation Commission decisions on entitlement to, and assessment of, disability pensions. He resigned in 2007 to become a Commissioner of the Repatriation Commission and a Member of the Military Rehabilitation and Compensation Commission, retiring in July 2010. Brigadier Rolfe was appointed as an Officer in the General Division of the Order of Australia in the Australia Day Honours List in 2008 for services to veterans. The Minister said Brigadier Rolfe, a highly respected member of Australia’s ex-service community, was involved with the Department of Veterans’ Affairs until his death, most recently in relation to advocacy review work. “As a result of this work, the creation of a new Advocacy Training and Development Program was endorsed by the ex-service community and the Government in late 2015,” Minister Tehan said. “Brigadier Rolfe retired as President of Legacy Canberra on 29 January 2016 due to his ill health. The BlueBays app displays the location of disability parking spaces in South Australia. Anyone can collect, map and share the locations of spaces and additional information such as nearby facilities or physical barriers. This app was created by the Department for Communities and Social Inclusion (DCSI) and is available free from the App Store or Google Play. The new Operation Life mobile application (app) is designed to help those at risk deal with suicidal thoughts and is recommended to be used with the support of a clinician. The app provides on-the-go access to emergency and professional support and self-help tools to help users regain control, keep calm and take action to stay safe. The app also contains web links to online resources, including information on suicide awareness, prevention training and counselling. The app is available free from the App Store or Google Play. For more information about suicide awareness and prevention see the Operation Life Online website.